Join us this Sunday, June 14th for a special musical event! 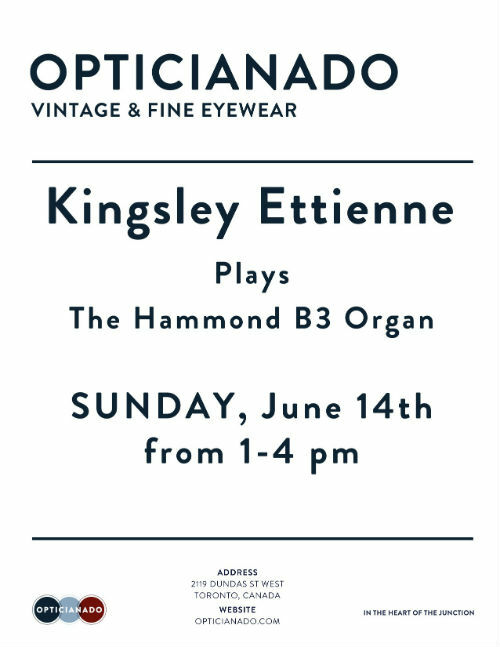 Kingsley Ettienne will be here playing the Hammond B3 Organ at the shop from 1-4pm. Get ready for an energetic, fun, jazzy good time! The store will be open for frame shopping as well, so come by, have a coffee, and listen to some great music while you’re looking for that great new pair of glasses! Kingsley plays Jazz. Straight-Ahead Jazz. Smooth Jazz infused with blues, R&B, latin, reggae and calypso. For straight-ahead jazz he plays the Hammond B3 organ and sings. For smooth jazz, piano and vocals. 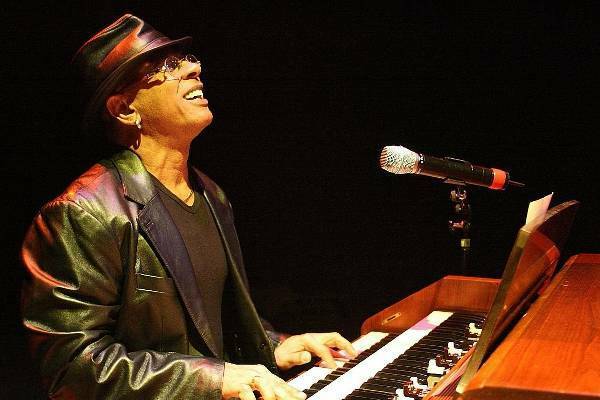 Kingsley’s primary instrument is the Hammond B3 organ, a love affair that began in 1969 when he first heard Jimmy Smith live at Toronto’s Colonial Tavern. In his early career Kingsley toured with the Platters and The Drifters. Later with Nina Simone, Benny King, Nancy Wilson and Etta James. Since then, he has played Organ Summits with such B3 greats as Jack McDuff, Jimmie McGriff, Charles Earland, Joey Defrancesco, Tony Monaco, Dr. Lonnie Smith and, of course, the world renowned Jimmy Smith. Firmly rooted in Toronto, Kingsley continues to perform throughout the world in South America, the United States, Canada, the Caribbean, Europe and Asia. Some of his best festival experiences include the Jamaican Jazz Festival, the San Paulo Jazz Festival, the Chicago Jazz and Blues Festival, the North Sea Jazz Festival in Oslo and the Pirates Festival in the Grand Cayman Islands.